“As the son of a biology professor, Hillis has a certain affinity for environmental studies. 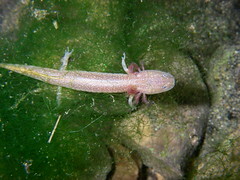 He chose to develop conservation efforts for the highly endangered Barton Springs Salamander (Eurycea sosorum). Interestingly, his own father, Dr. David Hillis, discovered the species. Hillis organized the restoration of habitat, which is only found in the Edwards Aquifer in Texas, his home state. Hillis began the project by removing silt and concrete from the springs, while also organizing the reconstruction of the drainage systems. To top it all off, he replanted native vegetation which helped hold the revitalized environment together. 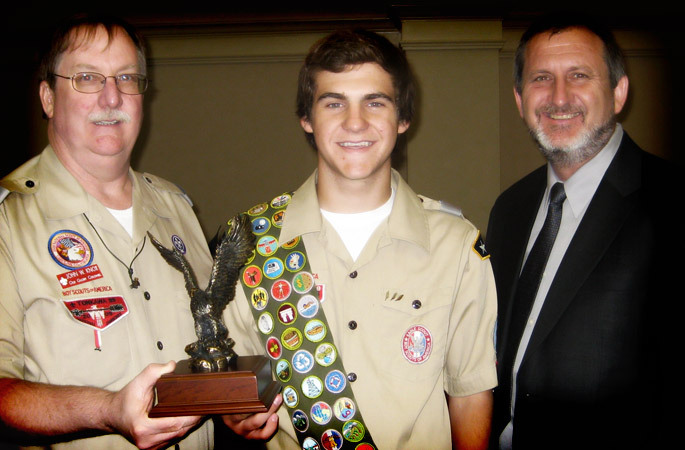 As a result of his efforts, Hillis received the William T. Hornaday Award for conservation from the Boy Scouts of America, while also getting some local recognition, too. 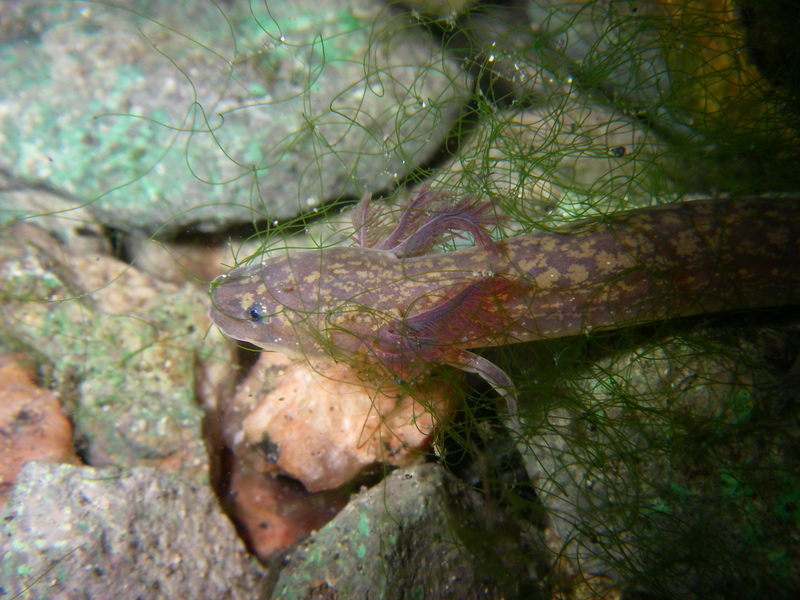 Click here to read the full article: What Do Salamanders, Texas And The OA Have In Common? | Summit Blog!. ARKive.org (an online archive of images and videos of rare and threatened species) recently featured the Barton Springs Salamander (Eurycea sosorum) on its “ARKive On The Road” blog during the Ecological Society of America meeting in Austin, Texas. Click here to read the full story. If you’ve never explored ARKive.org, take a few minutes to see what it has to offer. Call for photos and videos of Texas Eurycea! Many species of the Texas Eurycea are featured on ARKive.org, and the site is in need of high-quality videos of many of the Texas Eurycea species in their natural habitats. Consider this an open call to EuryceAlliance members who have such video to please email (eurycealliance@gmail.com) and let me know what type of video you have for which species of Eurycea. I’ll pass on your contact info and a list of videos to the ARKive organizers . 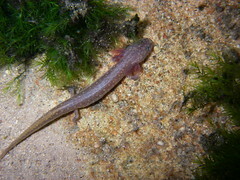 Images and video are especially needed for the Salado Salamander (Eurycea chisholmensis). 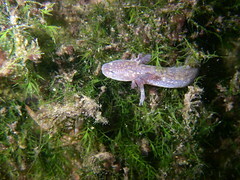 You may also notice that not all of the species profiles on ARKive.org for the Texas Eurycea are complete. A program called ARKive and Universities in which graduate students write species profiles (that are credited to them on the website) that are then reviewed by species experts. If you have any graduate students that are interested in writing Texas Eurycea profiles, or are willing to serve as a reviewer for these profiles, please email eurycealliance@gmail.com and I’ll pass on your information to ARKive.